How much is the price per square foot? | Elements Design Build L.L.C. 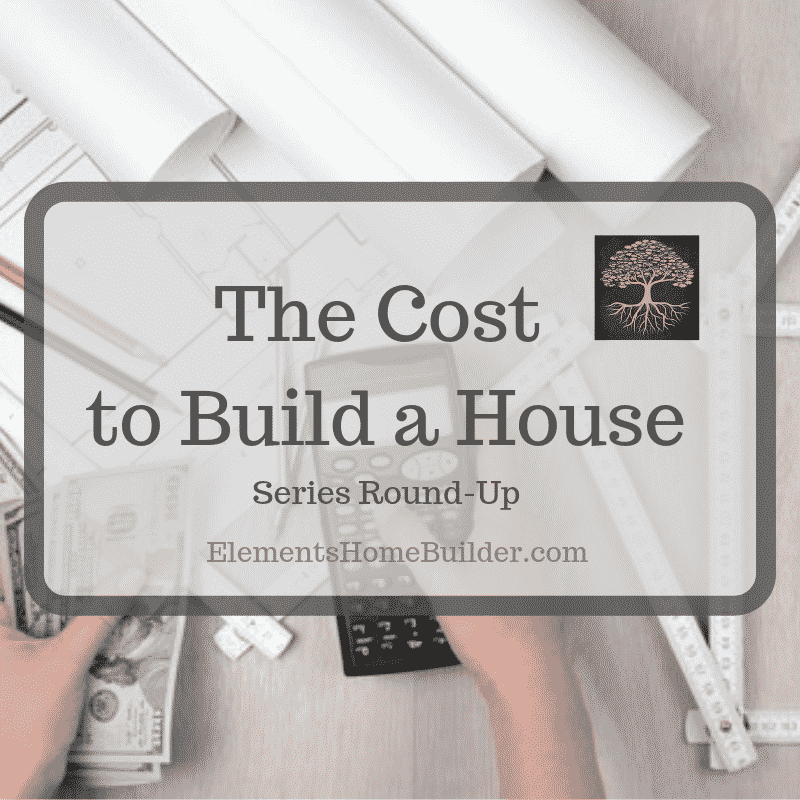 The Cost to Build a House: How much is the price per square foot? Potential clients often ask about price per square foot. Many believe that this is a “good way” to compare builders. 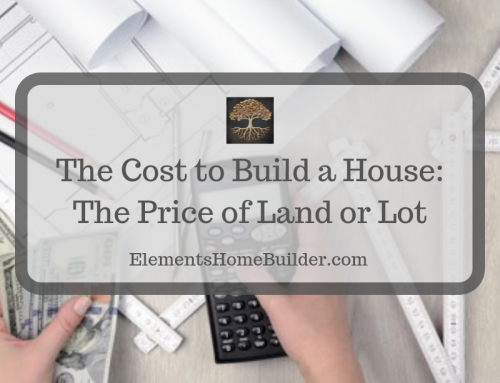 In reality, there’s a secret about price per square foot that the building industry would rather I didn’t share with you–it’s a game that home builders use to reel you in. 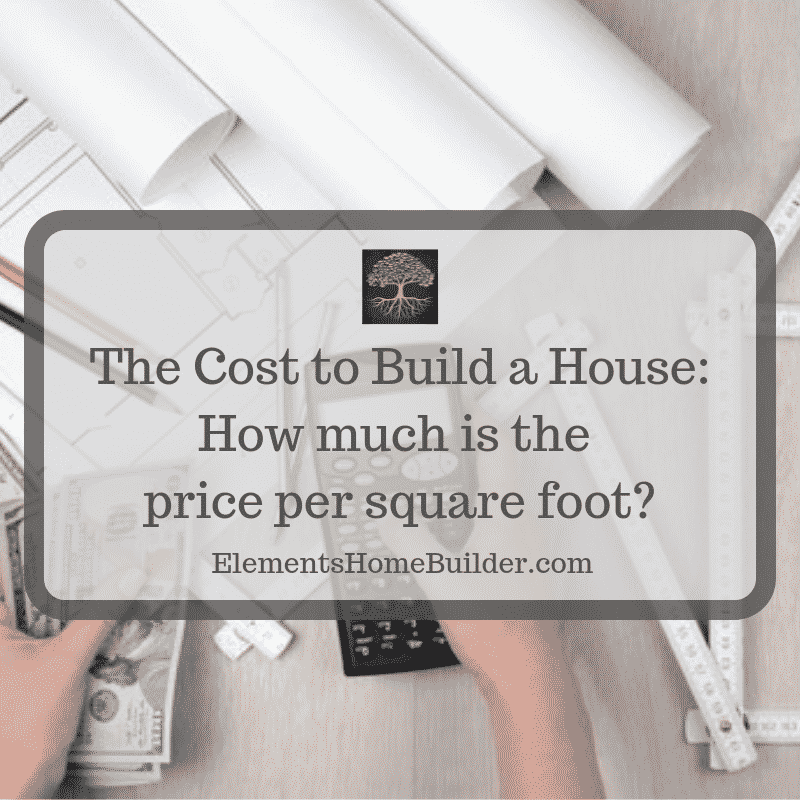 Honestly, using price per square foot as the primary means of explaining the cost to build a house does customers a disservice. Because of this, good builders won’t play the game. And because of that, they lose some customers. 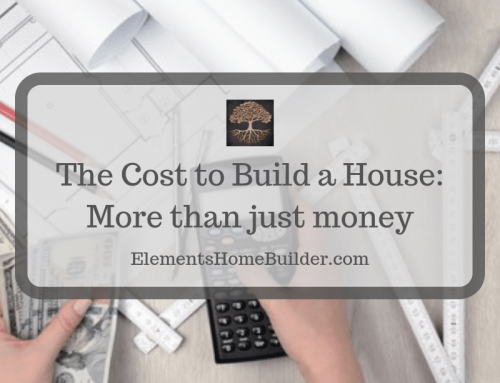 But reputable builders would rather be honest with future homeowners about the real cost to build a house. What’s wrong with quoting price per square foot? You might be wondering what the issue is with quoting price per square foot. Well, if it is a home that has been built before and you plan to make no changes to the floor plan, as well as utilize the same materials included in previously built homes and construct the house in the same area, then the price per square foot should be accurate. 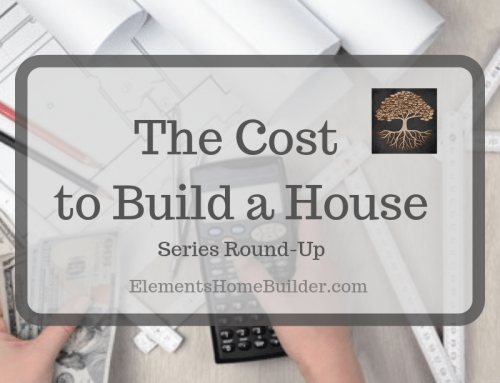 With a custom home that’s never been built before, however, there’s no way to quote a price until a building specifications / selections document has been completed. To quote one prior to knowing the client’s construction expectations would be dishonest. Think about it… The home you’re building on your land is your home—a custom home–not the builder’s spec home. 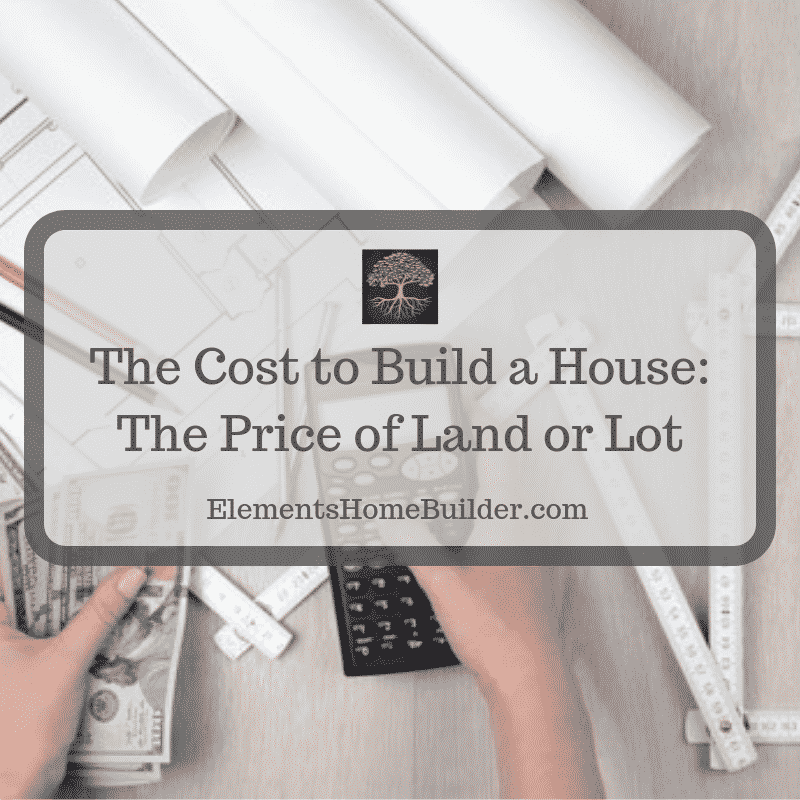 So, if the builder gives you a price per square foot before you’ve shared any of your needs and wants, how can that price be accurate? Wouldn’t it be a price based on the builder’s construction expectations? Even worse, it is possible that the builder knows the reason you’re asking is so that you can compare pricing. So, he has every incentive to give a low-ball price in order to entice you to build with his company. The builder tells you a low price per square foot. Feeling comfortable that this fits your budget, you make an appointment to sit down with the builder. 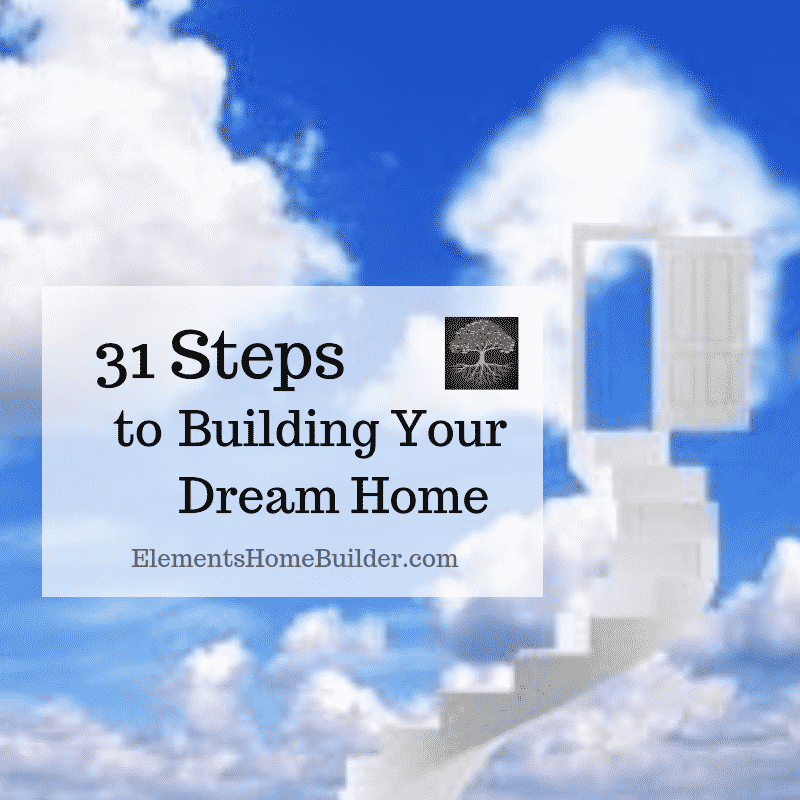 As you get into the details of the actual house you want, you start to get excited as the builder encourages you to keep the wish list coming. You spend hours working on the design and details, until you finally get your dream house plans. At this point, you are 100% emotionally invested in the design and the builder. How do you avoid the price per square foot game? So, how can you avoid this game? Be wary of the quick answer. Well, be wary of the builder who has a quick answer to the price per square foot question. Instead, seek out a builder who is hesitant to answer, desiring to listen to your wants and needs before giving an estimated price. 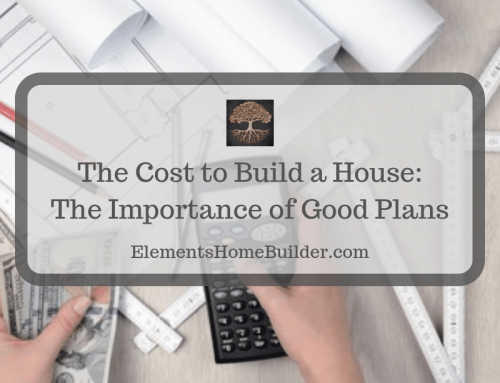 Also, look for a builder committed to including your “want-to-haves” if they fit within your budget. If the builder says “yes” to everything you ask for, then he/she probably isn’t fully considering your budget. Honestly, you want a builder who will say “no” sometimes. 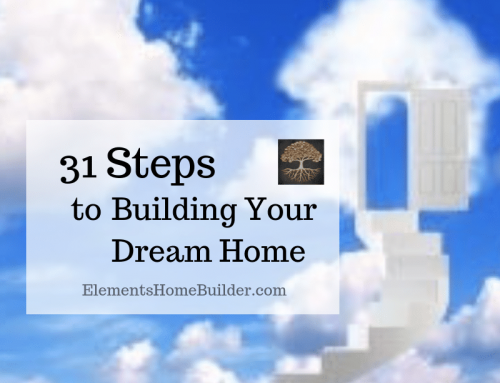 Finally, ask prospective builders about financing options. Quality builders should be versed in construction and home loans, able to provide you with a list of potential lenders. They should also be able to intelligently respond to some of your questions about financing, being honest when you need to consult a financial professional for more detailed answers. In short, there’s so much more that goes into the value of a house than the price per square foot. For more information, click the links below. And please, contact us with any questions. We would love the opportunity to put you in your Element! An article explaining why price per square foot is simply a game home builders use to reel you in, along with tips about how to avoid it.